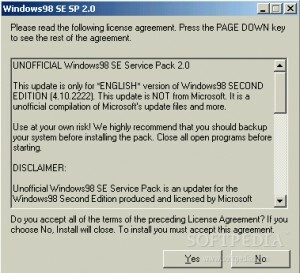 Here you can download Unofficial Windows 98 SE Service Pack with version 2.1a. This software was developed by Alper Coskun. 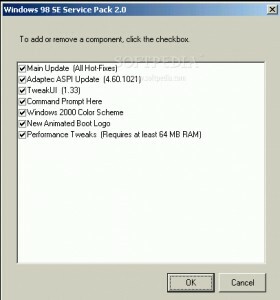 Download time for this software with internet channel 512Kb/sec would be 5 minutes.